Texas providers are implementing a teletrauma program, which uses technology to let trauma surgeons provide instant virtual care to patients, CBS-affiliate TV station KFDA reports. Texas Tech University Health Sciences Center in Lubbock is using this teletrauma technology to provide virtual care to trauma patients in rural areas before they are transported to the tertiary trauma center at Northwest Texas Hospital in Amarillo. 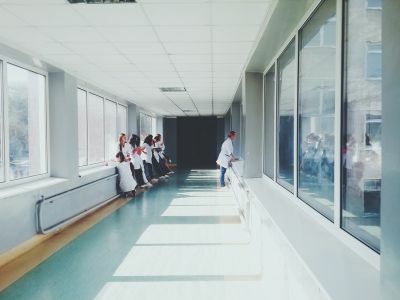 "That way we would allow the rural providers access to a trauma expert in real time, whereby we could see what they were seeing and help manage that patient before they made it to a tertiary trauma center," said Shane Harper, director of Texas Tech's teletrauma program. Hemphill County Hospital in Canadian, Texas, joined the program. With two major highways coming through the city, the hospital never knows when it will see a trauma patient, and having the teamwork between rural providers and trauma specialists will benefit these patients, said Hemphill County Hospital CEO Christy Francis. "If a car wreck comes in with five patients, then that's [happening] all at once in our small emergency room," Ms. Francis said. "[The teletrauma program] just gives that added level of specialist opinion on what to do with these complicated trauma patients." Texas Tech officials said they hope the program will expand to more rural communities in the area soon.